If you’ve got a pet on Science Diet food it isn’t cheap! So take a rare deal and get a big Freebie at Petco. 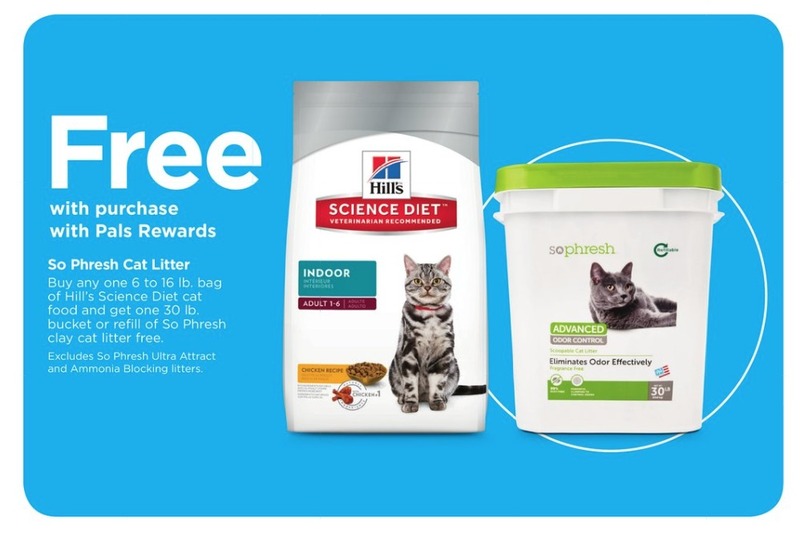 Now through February 2nd, you’ll get a FREE 30 lb bucket of So Phresh Advanced Odor Control or Dual Odor Guard Clay Cat Litter when you buy any 6- to 16-lb. bag of Hill’s Science Diet cat food at Petco. This offer is in-store only, and you need to be a member of their Pals Rewards program to get the discount as checkout (it’s free to join). Total Due: $23.99 for everything!